Vodafone in JV with Optus required a major transmission upgrade (400+ links and capacity for 2G and 3G) to accommodate additional traffic requirements with the introduction of it new 3G RAN network. Adnexus delivered a significant component of the overall upgrade in NSW and VIC utilising teams of technicians and riggers.Adnexus also provide local state based warehousing for all new and recovered equipment. 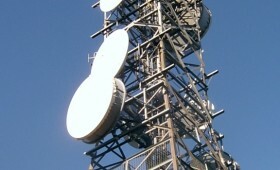 Adnexus provided I&C and deployment services for point to point microwave upgrade works. We project managed site access, equipment delivery, training, technical installation, commissioning activities, traffic migration, live old for new link cut overs reporting ,testing and recovery of redundant hardware. Specifically we worked with legacy Nokia, MiTec, Codan links and replaced it with like for like Ericsson Minilink E (PDH) and HC (SDH), and Ultra-Compaq optical multiplexors. Completed numerous E1 expansion builds. Please click the below link or select individual project to the left for further experience. The newsletter is sent periodically to keep you updated on the latest. © 2014 Adnexus Communications Pty Ltd. All right are reserved.